Oh yeah, you read that correctly – it's sunscreen water and it's a multi-tasker, too. And guess what? 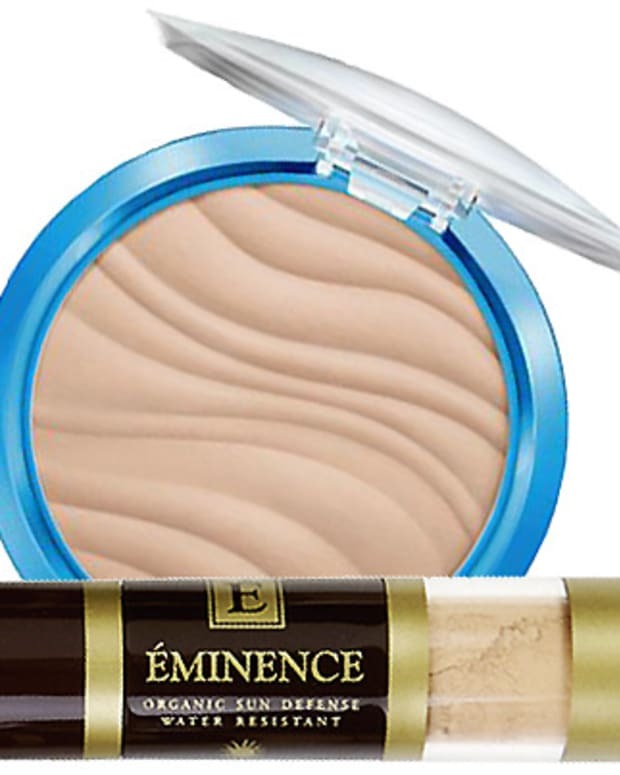 You can apply it over makeup! We know what you&apos;re thinking. What&apos;s that now? Sunscreen WATER? Really? How does that even work? How much do you have to use to get the full SPF 3o? When would I use it? And where can I get it, STAT?? And we have those answers – huzzah! Chemical UV filters have lipophylic and hydrophilic properties – they&apos;re oil- and water-soluble, says David Durand, general manager at NAOS Group, which owns Bioderma. "We increased the hydrophilic aspect of the chemical filters in order to optimize the solubilization of the filters in the water." Basically, the Bioderma chemists boosted the ability of the UV filters (homosalate, octocrylene and ethylhexyl salicylate in the ingredients list) to dissolve thoroughly in water. So when you spray your skin with Bioderma Hydrabio SPF 30 water, you should get even UV protection. In addition to UVA and UVB filters, the Bioderma Hydrabio SPF 30 water contains humectants and emollients to hydrate and soften, as well as sugars (mannitol and xylitol) so that the formula creates a film that binds the ingredients to the surface of the skin. Kinda like a sugar-water glaze, only waaaaay less sticky. 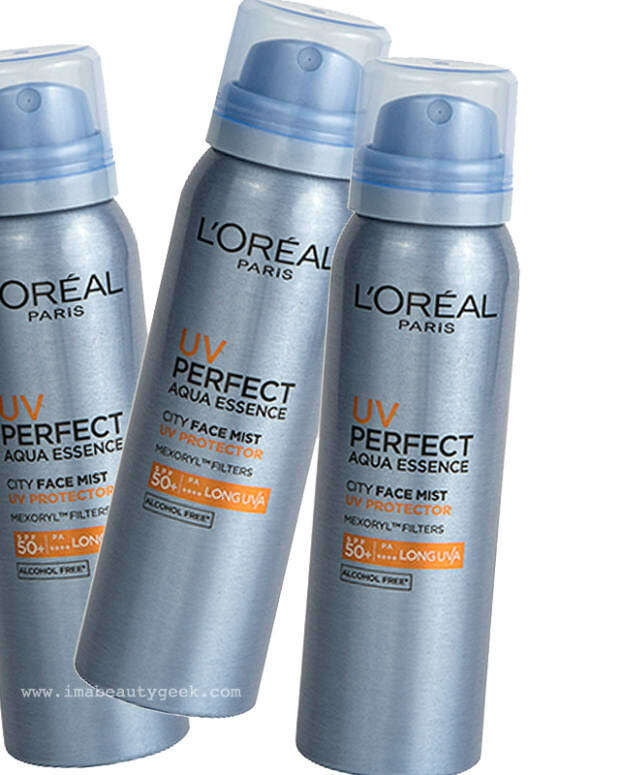 In fact, Hydrabio SPF 30 looks and feels like an ultra-ultra-light sunscreen spray without the oiliness. And it&apos;s formulated without fragrance, parabens, alcohol or propellants. You don&apos;t have to use a heavy hand when you apply Hydrabio to get the full SPF 30 protection, says Durand. Hold the canister about 20 cm from your face and neck, and spray for just five seconds in a descending zig-zag from forehead to decollete. Here&apos;s what we love about the Hydrabio SPF 30 water concept: it makes applying sunscreen over makeup a cinch. In fact, you can use it as a setting spray after you first do your makeup, and then re-mist your face later to refresh your UV protection. And of course you can use it on arms and legs, too, perhaps even on your scalp if you have thinner hair and often need UV protection (other than a hat) there. 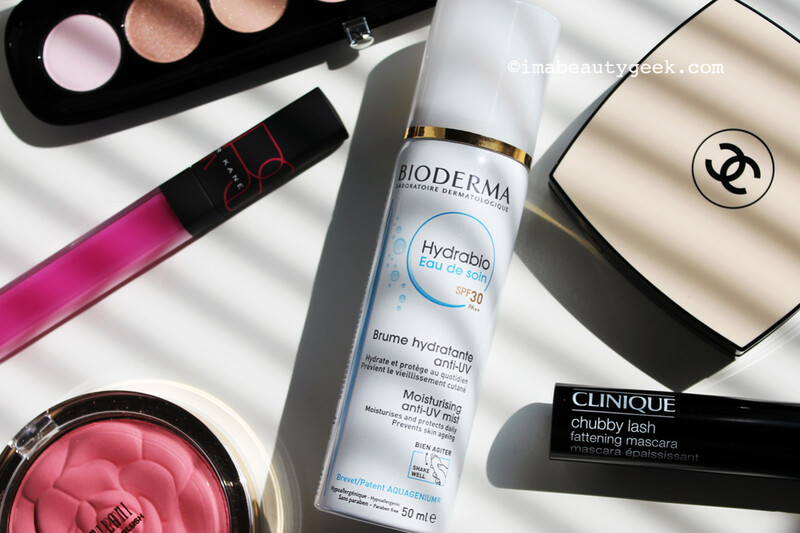 Bioderma Hydrabio SPF 30 Care Water was launched in France at the end of April. At the moment, it&apos;s the only country in the world that has it (and it only comes in SPF 30 for now, in a 50 mL size). So until it passes through Health Canada and FDA approvals in about a year or 18 months, you need a plane ticket to get your hands on Bioderma Hydrabio SPF 30 water. Or you need an excellent friend named Liza (LEEZA) Herz who takes note of enthusiastic editorials in French magazines while vacationing in Cannes, and brings one back for you as a present. 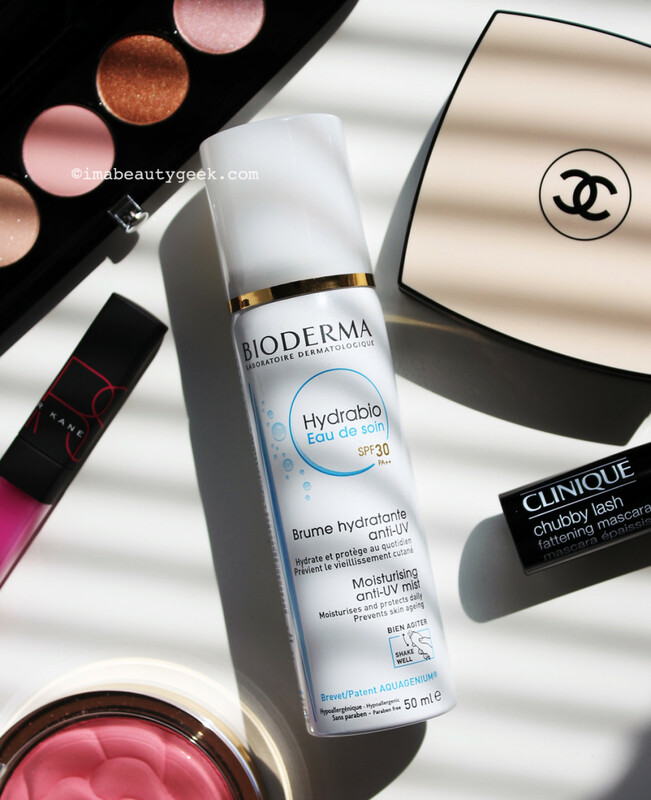 In the meantime, check out some Bioderma Hydrabio SPF 30 Care Water reviews here. One more update: Melissa at Kiss&Makeup saw this post just before a jaunt to France, so she stocked up and posted this thorough Bioderma Hydrabio SPF 30 review. I can&apos;t wait for this stuff to land in North America; hope an SPF 50 is part of the family by then!